HBO official ringside scorer Harold Lederman has backtracked from his initial assessment of the May 7th showdown between pound-for-pound champion Manny Pacquiao and three-division world champion Shane Mosley. Just prior to the bout being announced, Lederman had some strong words regarding Mosley's chances in the fight. 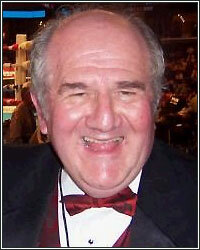 In an interview with Chris Robinson of Examiner.com, Lederman remarked, "I think Manny Pacquiao is going to kill him. I don't know. 'Sugar' Shane is no youngster and he is taking on a guy who is deadly. I mean, realistically, unless Manny Pacquiao is distracted by his job as a congressman, I can't see him doing anything but going out there and giving 'Sugar' Shane, at his age now, the same beating that he gave to Antonio Margarito and Joshua Clottey in the last couple of fights." Speaking to FightHype's own James Alden earlier this week, however, Lederman was singing a different tune. Laughed off the comments he made to Robinson, Ledermain explained, "Chris Robinson quoted me as saying Pacquiao would murder Shane Mosley and if I said it, I said it half-heartedly. I'm sure Shane has a lot of skills and a lot of abilities left, but not the way he was in his prime. Coming off the Sergio Mora fight, which I thought he should have one handily, it's a tough fight fighting a Manny Pacquiao because he's sharp, quick and in his prime." No doubt the fight will be tough, and Lederman still doubts that Mosley will walk away with the victory, but he no longer believes it will be the same kind of one-sided affair that Pacquiao was in against the likes of Antonio Margairto and Joshua Clottey. "On the other hand, I'm sure Shane is going to be competitive and will be one of the better opponents Manny has taken on. Nobody wants to pass up a Manny Pacquiao payday with the way he does pay-per-view buys and the ratings that he draws," he added. "I wish Shane the best, but deep down in my heart, I don't think he can win the fight. You never know; stranger things have happened in boxing. Good for Shane Mosley because he got the fight that everyone else in the sport of boxing wanted. I just hope the fight is competitive." Is Lederman right? Will the May 7th showdown between Pacquiao and Mosley be much more competitive than the 10-1 odds would have you believe? Let us know in the comments below, or feel free to send me an email fstrunk@fighthype.com.